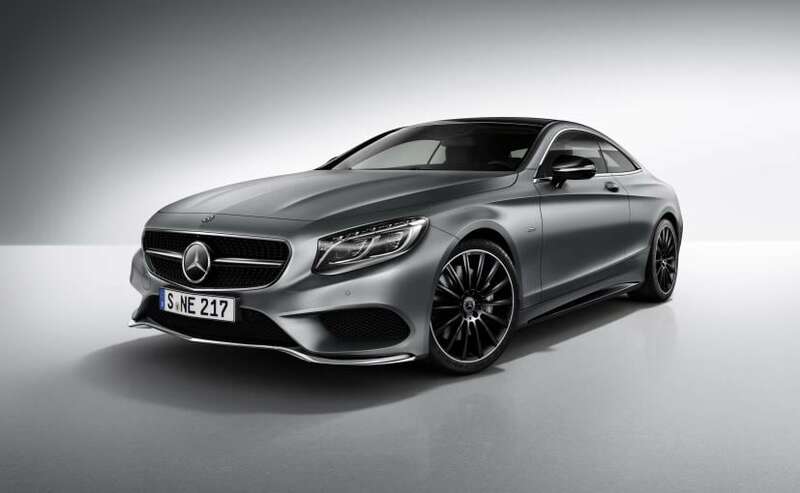 Here is another list of top cars from Mercedes we weaved out for all you car enthusiasts. While we kept the best cars of all times from the manufacturer in the previous list, we found it isn’t really sufficient to bring out the masterpieces from Merc’z. So we have picked up the most exotic and eye-popping cars from the Mercedes Benz for this list. Some are seriously a treat to eyes! This guys is the ‘Beast of the Green Hell’– as they call it; and, guess what, the name absolutely just for it. It is one of those powerful creations of this German automaker. With the top of the range 4 litre V8 that oozes a full 577 HP, advanced aerodynamics and intelligent lightweight construction, the beast can literally launch from a standstill to 60 miles per hour in just 3.5 seconds! The top speed could surely have been more if it wasn’t electronically controlled. It is not supposed to be a limited production car. And guess what, it has active rear wheel steering to give you that control you always wanted. Its a real ‘beast’ as the performance gets really scary and gives you the goose-bumps. ITS WICKED !!! Engine: 4.0 L V8 Biturbo engine. YOU MUST WATCH THIS VIDEO AND WE ASSURE YOU THAT YOU WILL FEEL YOUR ADRENALINE FLOW INTO YOUR BLOOD….. If it wasn’t for McLaren’s own final 2011 edition, Stirling Moss was meant to be the last one in the SLR series to be built under the McLaren and Merc’z partnership. The manufacturer named the model after a British racing driver, Stirling Moss. 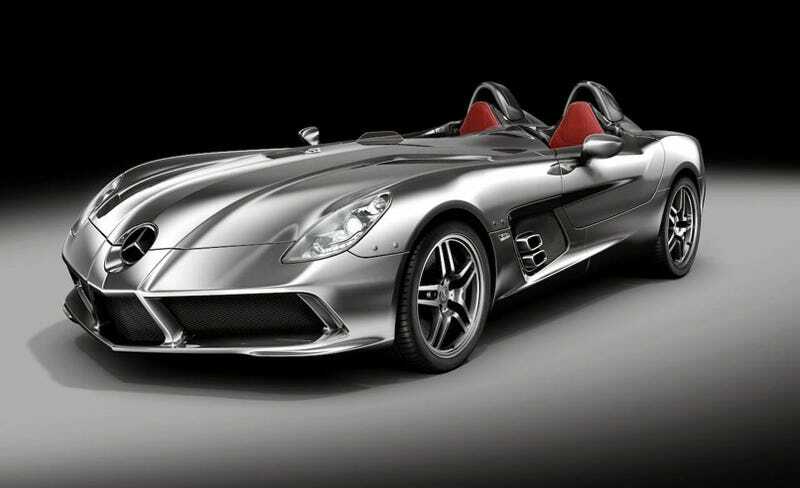 Revealed at NAIAS 2009, Moss is a limited edition model in the SLR series with less than 100 of the vehicles ever built. As you can see, the model does not have windscreen, windows or roof- given that it had taken inspiration from the 300 SLR. It is relatively light-weight, and with the supercharged V8 engine, all it takes to reach 60 miles per hour from a standstill in 3.5 seconds. So if you are seriously up for an eye-watering ‘Bullet-speed’ Mercedes ride, Stirling Moss might be the thing for you- as long as you have the coin in your pocket! Launched in 2013 Los Angeles Auto Show, the final edition is another limited-edition model from the German manufacturer, with just over and all 350 units built. A plaque stating ‘1 of 350’ accompanies each of this final edition Merc’z. It can reach 60 miles per hour speed line in just 3.6 seconds just like the SLS AMG GT- the 2012 model (both are almost same in performance). The appearance is different in terms of exposed carbon fibre front splitter, expansive hood and the exterior finish. The model is available both as Roadsters as well as Gullwing door coupes. SO, here we have another face of ‘Grand touring’, eh? Influential as it is, the S-class leaves many other luxury vehicles- which are costlier- behind to some certain extent, with its features. When you see it and understand it, you naturally know that it represents a class and standard with its innovation. It incorporates great safety features including night view assistance, electronic stability control, anti-lock breaking etc. Some other basic features include fantastic driver assistance, greater autonomy, traffic sign detection, remote controlled parking etc. Adding to its fantastic features is its classy and super elegant exterior along with ambient lighting and LED high performance headlamps. Talk about the interior- spacious, luxurious and beyond comfortable are the words. Wow ! This one E-class seems to have added a pretty lot of glory to the series. Though for once you might find the exterior not so ‘eye-smashing’ kind of thing, what got it to the list is the features that it pack. To start with, the control panel is all ‘screen-screen’. The controls are pretty impressive (including those touch controls on the steering wheels). Interior is actually what makes it really count- it’s magic. Ambient lighting (you can choose from 64 colours!) itself is enough to impress roughly anyone (particularly night). ECO start and stop, better COMAND infotainment system, great autonomy etc. are the add-on. The steering wheel touch control is going to be the future thing as well. Brilliant safety package is one important note with E300. This has gone far to the matter that even an accident would be relatively less panicky. Well, it can warn others as well! Did we skip to include any of your favourite beast or roadster from the German automaker? Which one was your favourite of all? Let us know through the comments section. We would love to hear your views! Did you love the list? Make sure you share it with all the car enthusiasts you know!